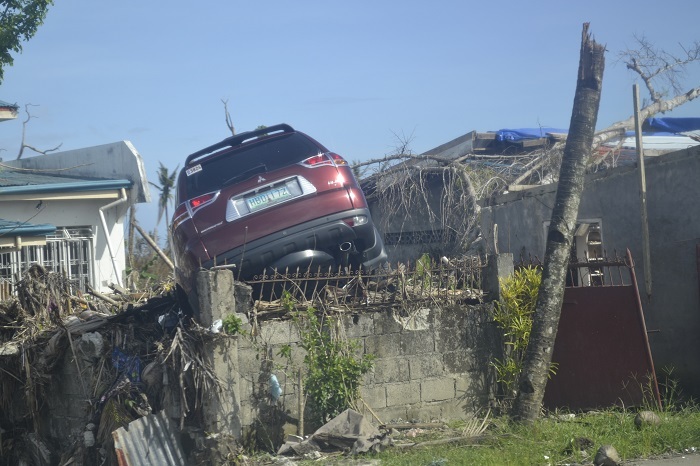 Last week a team of our workers rented a truck and brought much needed supplies to Leyte, the hardest hit area in the Philippines that is still without power. They brought coconut oil, rice, water, candles, matches, nails, cookware, and blankets. All these items were purchased with funds donated through Helping Traditions – Thank You!! 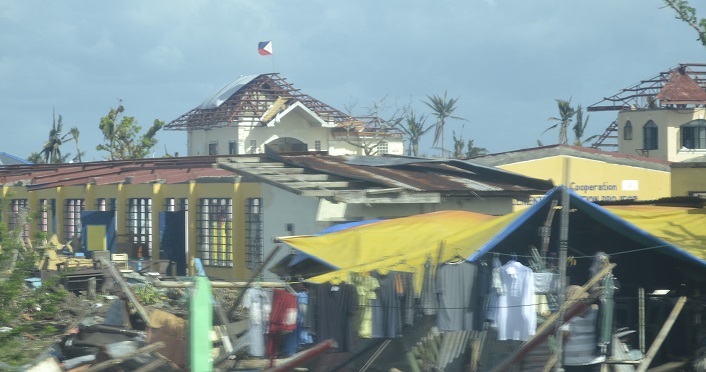 A Philippine Flag flies proudly on a roofless building above the destruction. 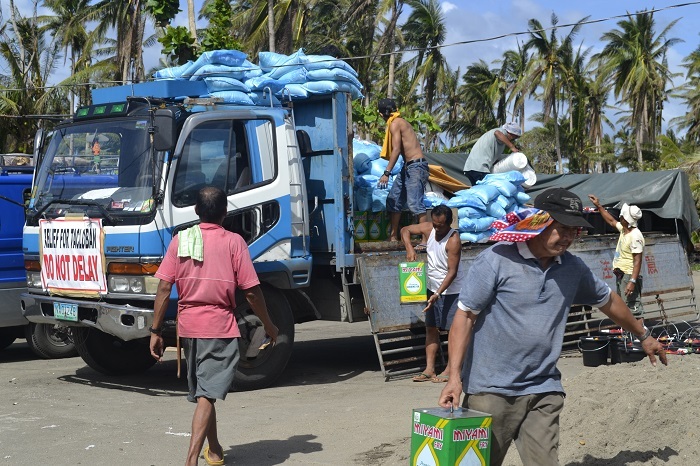 Unloading coconut oil and relief goods from the truck. People who lost everything are grateful to receive basic goods supplied by Helping Traditions’ Supporters. There is much more work to be done to help these people rebuild their lives. Please continue to send your support to help them get through these difficult times by contributing at Christian Aid.